The video that Trump posted on Friday splices a reference Omar made about the Sept. 11, 2001, attacks with footage of the Twin Towers in New York collapsing. It is captioned "WE WILL NEVER FORGET. "Omar's reference to the terrorist attacks came in a speech last month at an event hosted by the Council on American-Islamic Relations (CAIR) in Los Angeles. Saying Muslim Americans are treated as second-class citizens, Omar added, "CAIR was founded after 9/11 because they recognized that some people did something and that all of us were starting to lose access to our civil liberties." In fact, CAIR was founded prior to 9/11. But it was her wording that "some people did something" —repeated in the video tweeted by Trump — that has drawn sharp criticism. 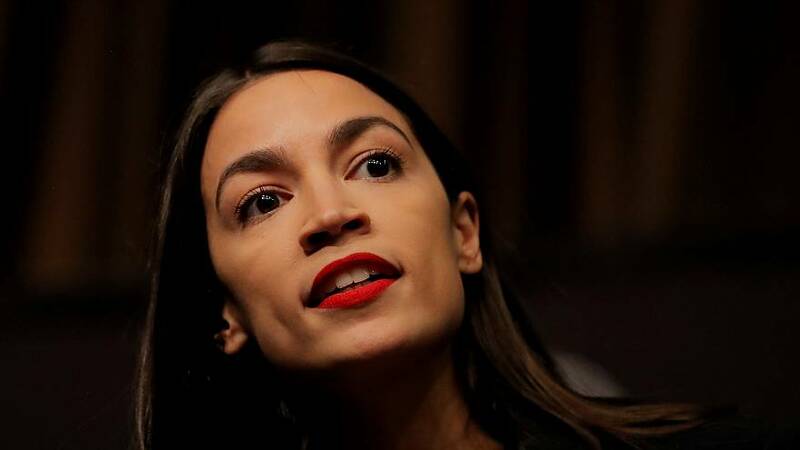 Ocasio-Cortez, D-N.Y., called the video an "outright, dangerous targeting of a member of Congress" that other members should speak out against. "Members of Congress have a duty to respond to the President's explicit attack today," the New York Democrat said on Twitter. She also quoted a poem by a German pastor, "First They Came," which speaks to the failure of many people to resist the Nazis' persecution of Jews and other groups that ultimately led to the Holocaust.Trump's video post on Friday echoedcriticism of Omar onthe front page of The New York Post on Thursday,which splashed the words "Here's Your Something" over an image of the World Trade Center towers ablaze. Rep. Tlaib, who has been outspoken in her support of Omar, a fellow Muslim representative, called the Post cover a "pure racist act" on an interview with MSNBC Thursday. After Trump's posting the video Friday, Tlaib tweeted, "enough is enough. ""No more silence, with NY Post and now Trump taking Ilhan's words out of context to incite violence toward her, it's time for more Dems to speak up," Tlaib said. "Clearly the GOP is fine with this shameful stunt, but we cannot stand by." Democratic Sens. Elizabeth Warren and Bernie Sanders, who are both candidates for president, each came out in support of Omar after Ocasio-Cortez and Tlaib tweeted their criticism of Trump's post. "Ilhan Omar is a leader with strength and courage. She won't back down to Trump's racism and hate, and neither will we," Sanders said on Twitter. "The disgusting and dangerous attacks against her must end." Warren went further and said in a Friday tweet that any elected official who refuses to condemn the video "shares responsibility for it." "The President is inciting violence against a sitting Congresswoman—and an entire group of Americans based on their religion," Warren said. "It's disgusting. It's shameful. And any elected leader who refuses to condemn it shares responsibility for it." Omar, who has said that she has been subjected to numerous death threats, has yet to respond to the president's video.